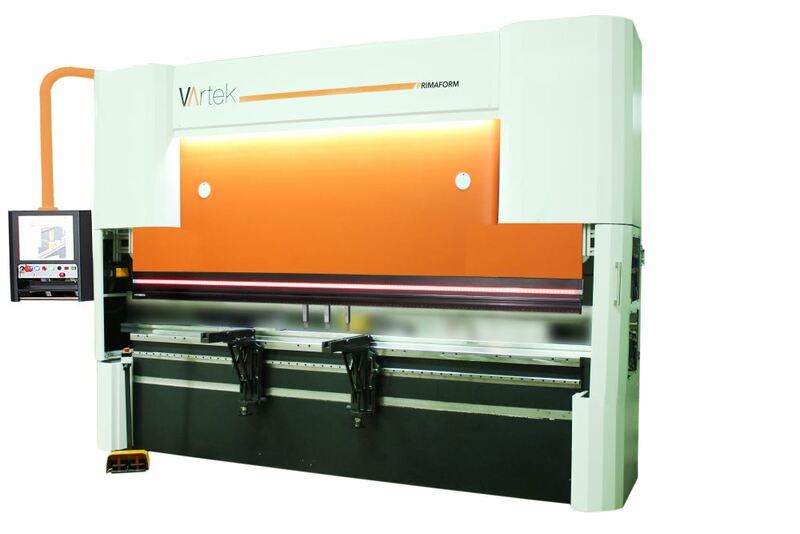 PrimaForm is the flagship press brake of Vartek. It is designed for production environments that run high mix/low volume parts and require frequent machine setups. All of its features are designed for customers working with materials like stainless steel and aluminum. Whether you want to form a part by air bending, bottoming or hemming, PrimaForm’s advanced angle calculation formula, precise servo hydraulic system and electronic linear scales ensure you get the right part every time. The editable material database on PrimaForm lets you add as many material as you want and even allows you to record the springback of each material so the control can autocorrect angles to compensate for springback. Before we designed PrimaForm, we wanted to fully grasp the challenges and shortcomings that the operators are facing in Precision sheet metal shops and talked to many operators during the process. An easy way to turn customer drawings into part programs without interrupting product runs. Choosing the right tooling for the right job. Running prototypes without scrapping high value materials like stainless steel and aluminum. We already had the foundations of a solid offering with precision, repeatability, consistency and dependability on our PrimaForm and we implemented these requests from our customer base and created the new PrimaForm.